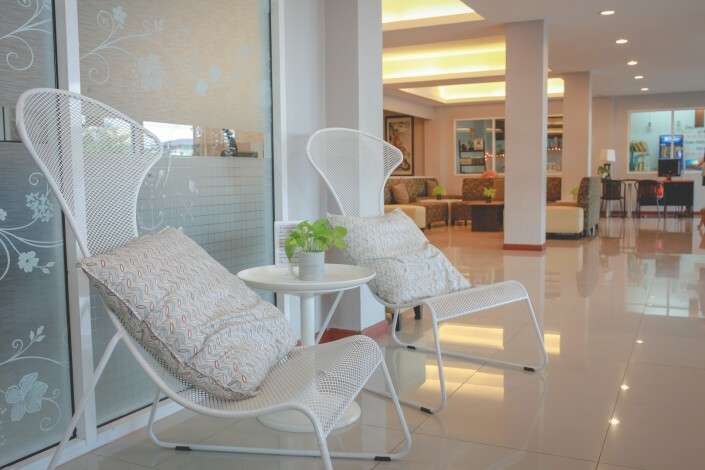 Golden Jade Suvarnabhumi welcomes you with a cozy atmosphere and modern decoration. 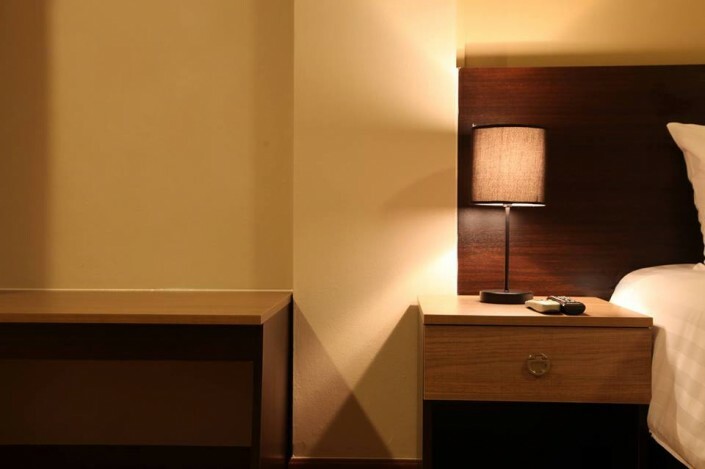 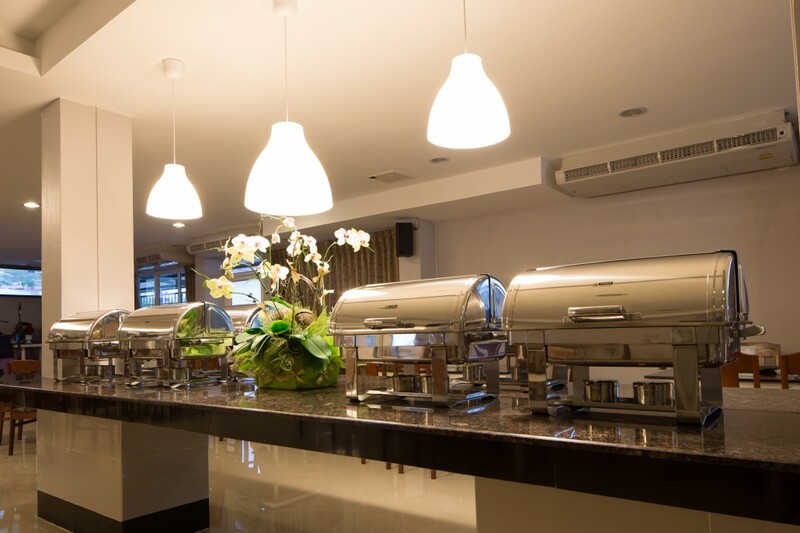 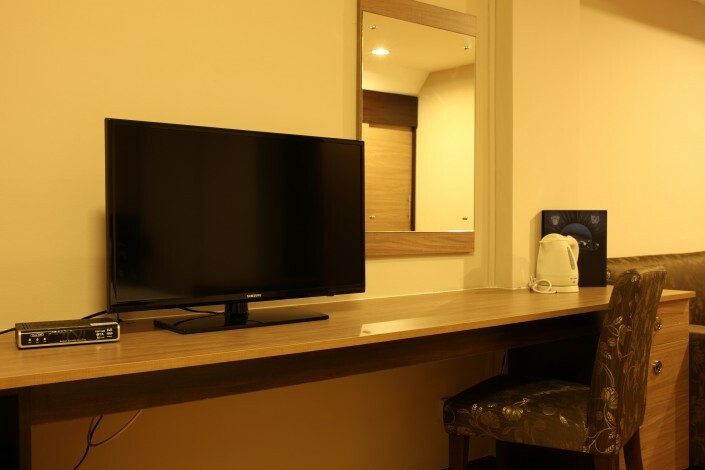 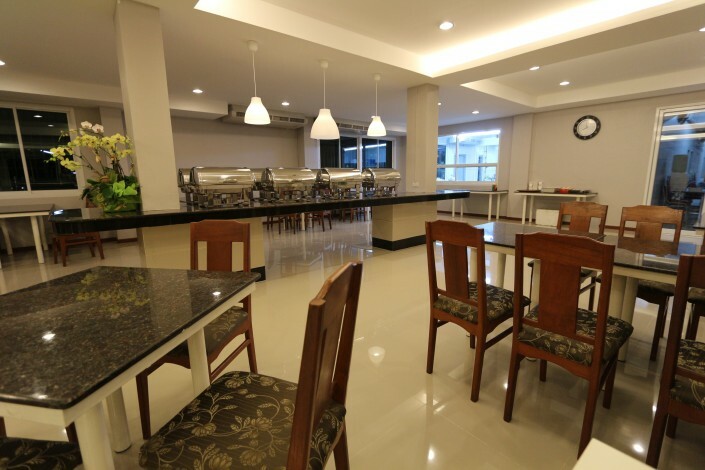 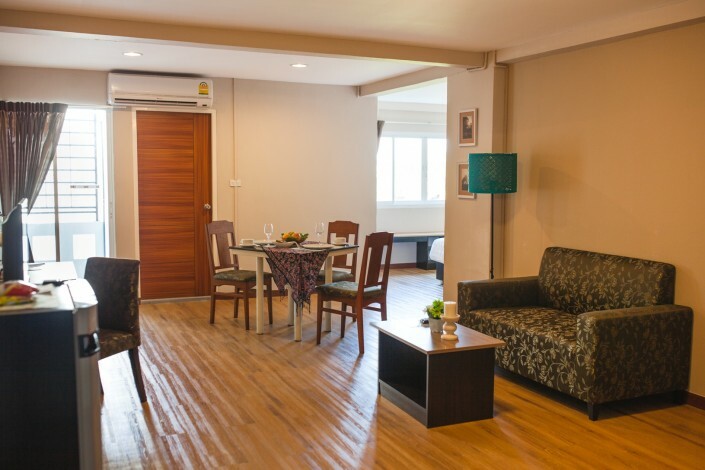 The hotel is located on Ladkrabang Road, which is only 10 minutes away from Suvarnabhumi International Airport. 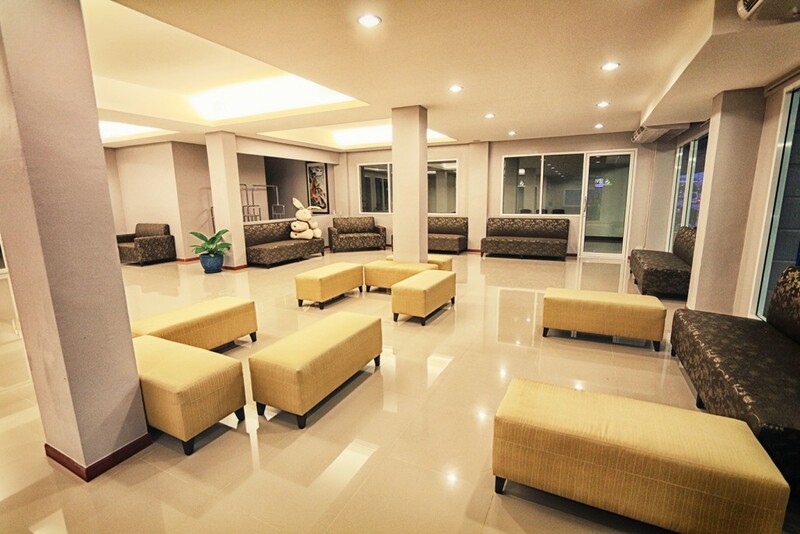 You can also use our 24 hours’ shuttle bus service for travelling between our hotel and the airport. 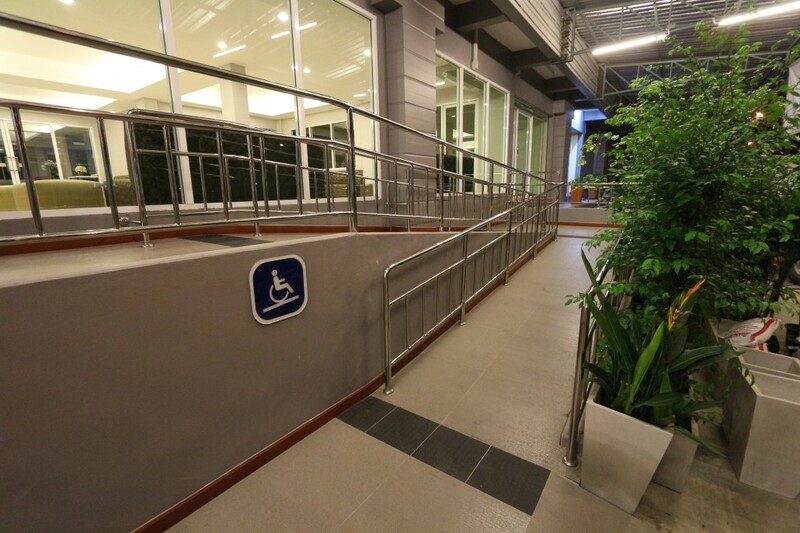 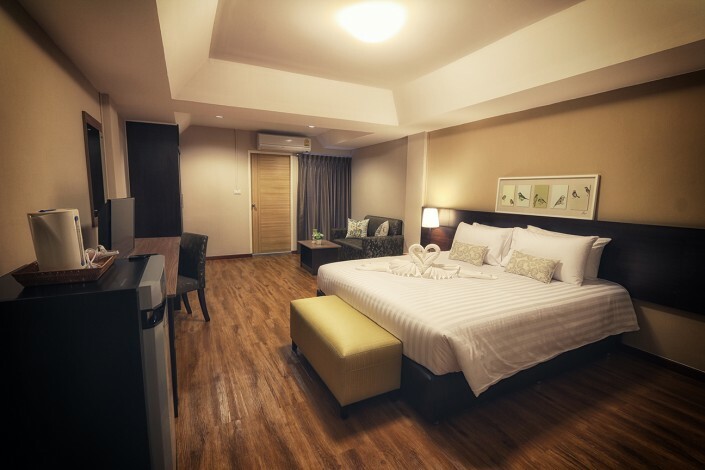 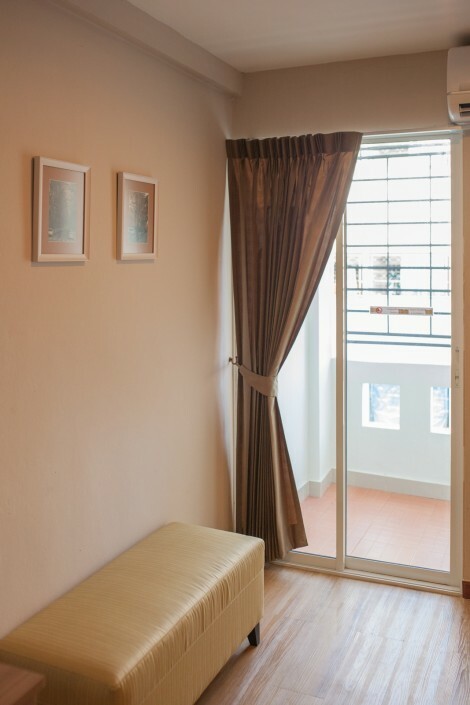 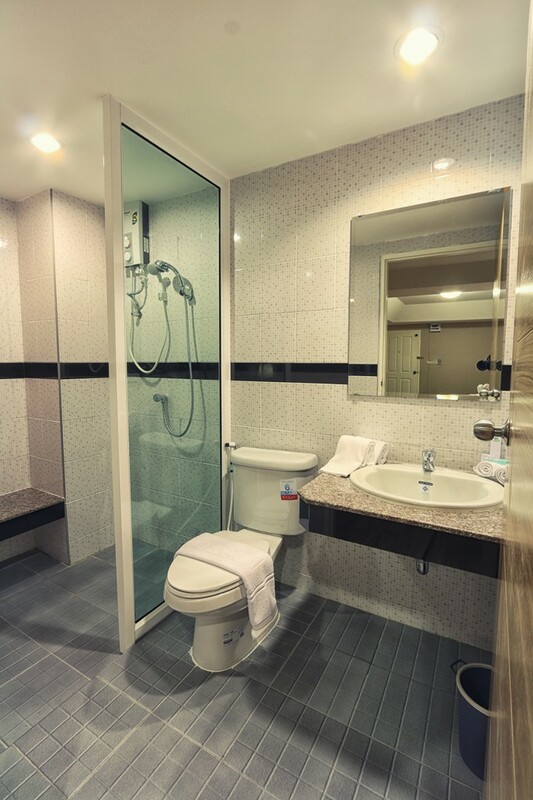 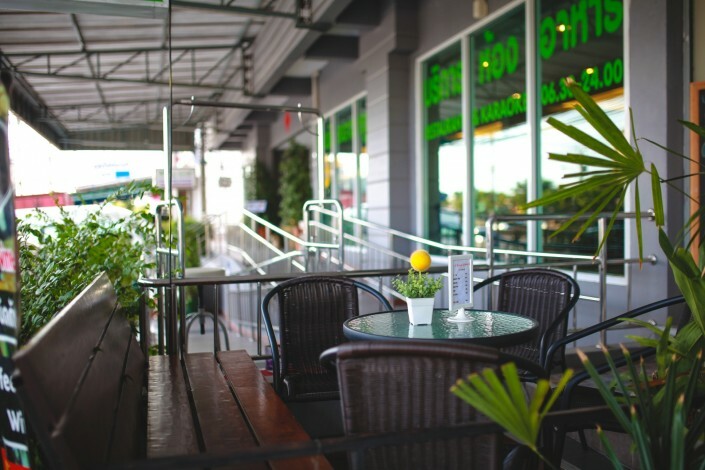 With 5 minutes’ drive, hotel guests can travel to Airport Rail Link Ladkrabang Station, which is the nearest public transportation connecting to the downtown of Bangkok. 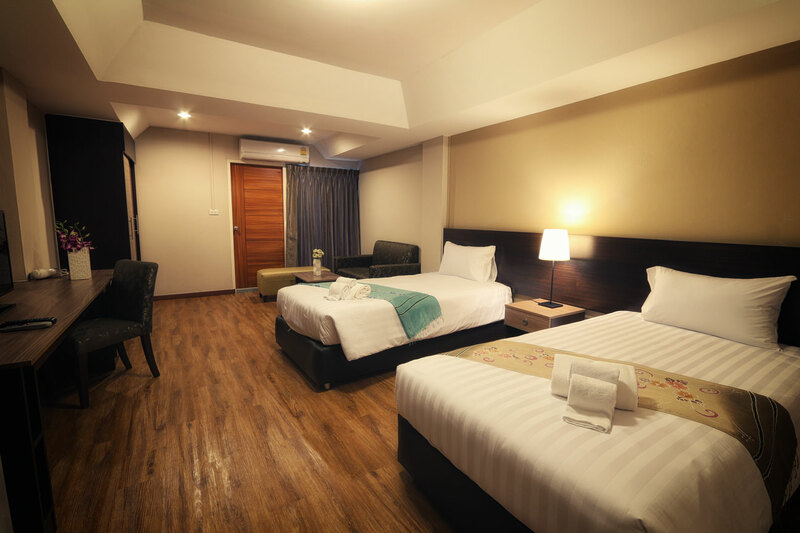 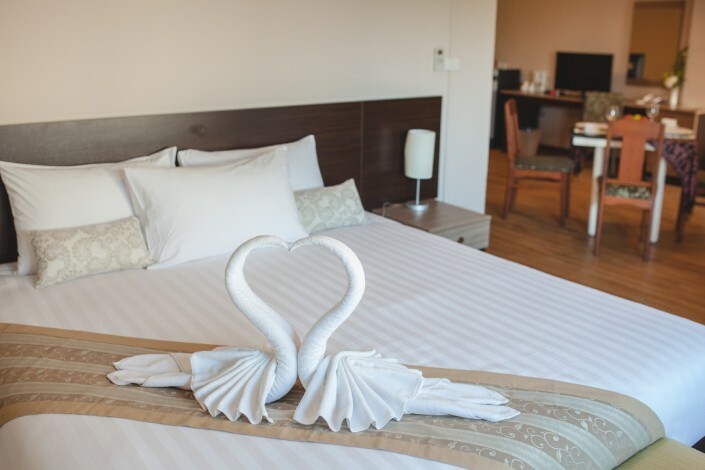 Our guests will also benefit from the outstanding location of the hotel for travelling to Pattaya, one of the most famous Thailand tourist attraction places, and other beautiful spots in the eastern part of Thailand. Each room is newly renovated with attractively trendy interior design, giving you a relaxing and comfortable space. 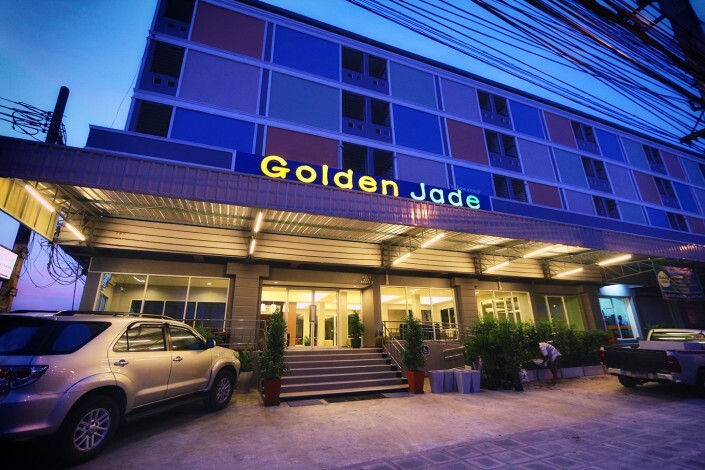 Golden Jade Suvarnabhumi has 90 rooms with 4 room types : Superior room, Triple room, Family Suites and Executive Suites. 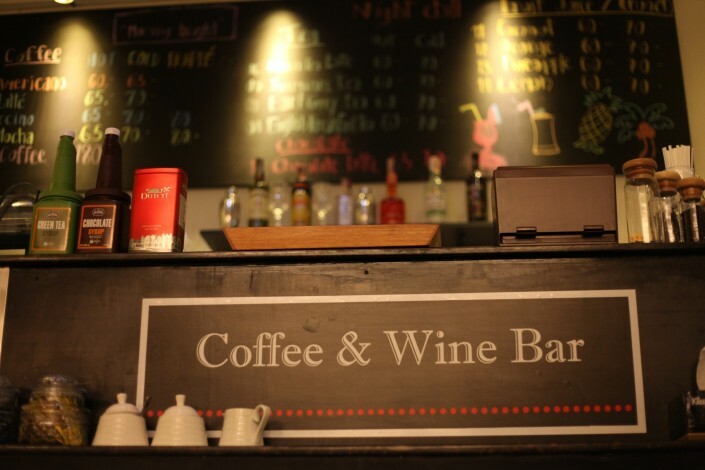 It is decorated in modern style with attractive interior design that will make you feel warm and comfortable. 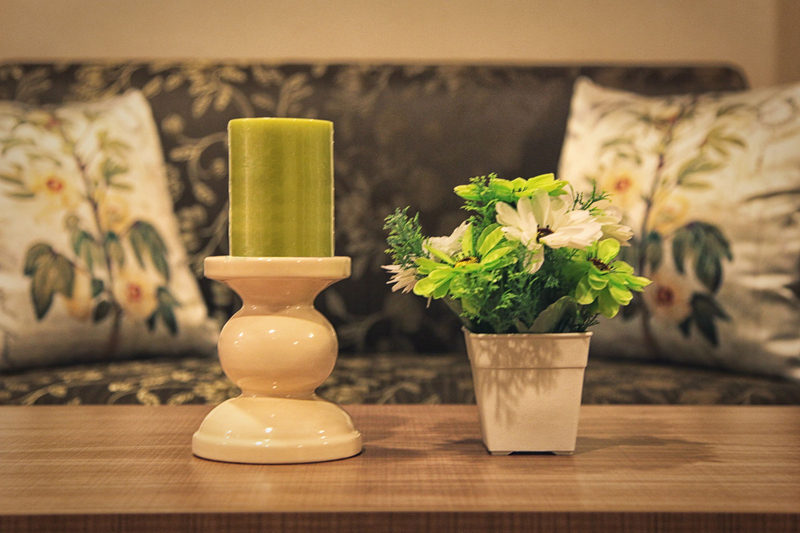 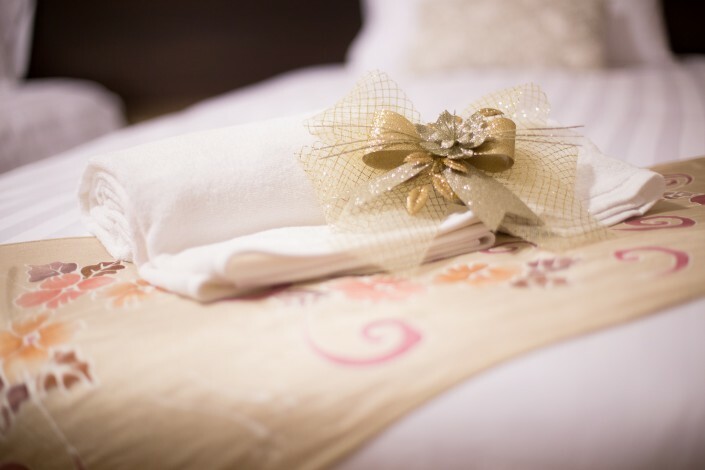 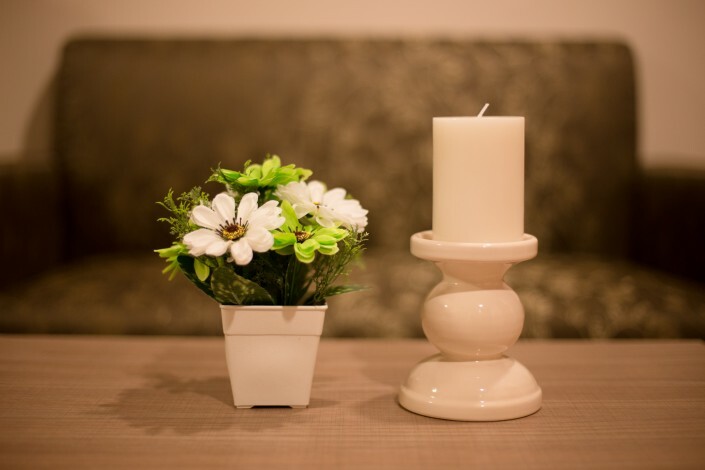 Please see the details of each room type decorated to your needs.